In Douglas’ Hors-champs, 1992 (on view 18 January–23 February 2019), a quartet of musicians—Kent Carter, Douglas Ewart, Oliver Johnson, and George Lewis—perform Albert Ayler’s Spirits Rejoice. 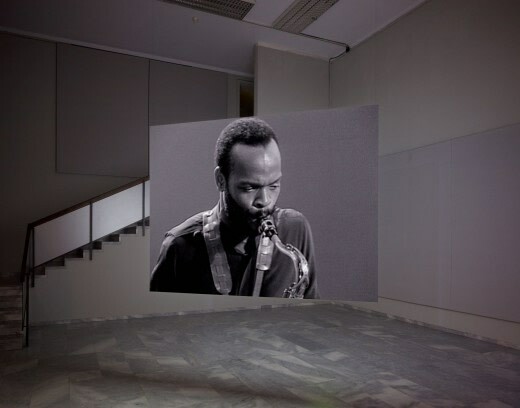 Projected simultaneously on opposite sides of the same screen, Douglas’ installation considers the Black musical traditions (blues, gospel, etc) embedded into Ayler’s composition. Stan Douglas and George Lewis will be in conversation at 3pm on Saturday 16 February 2019.